Posted in: The Interviews. Tagged: Alex Krull, Atrocity, BW&BK, Leaves' Eyes, Liv Kristine Espenæs Krull, Theatre Of Tragedy, Thorsten Bauer. 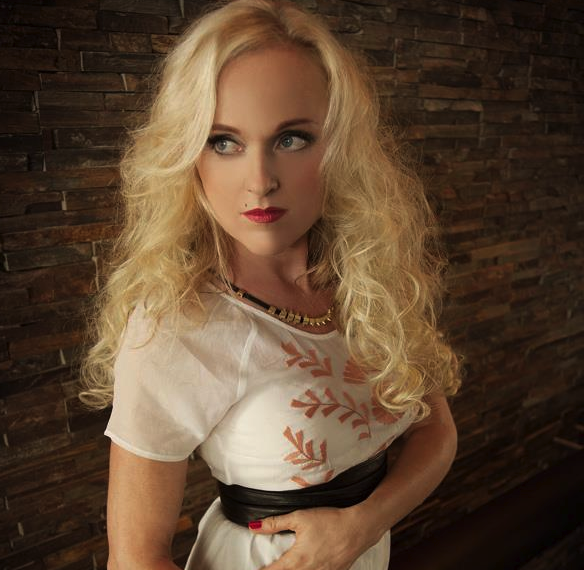 Ten years ago, soprano vocalist Liv Kristine Espenaes Krull quite unexpectedly found herself out of a job. Theatre Of Tragedy, the band that made her famous (and vice versa) gave her the boot citing musical differences, cutting Liv loose and leaving her to her own devices. It was a blessing in disguise once the initial shock wore off, leading to the launch of a grand experiment in collaboration with the members of Atrocity dubbed Leaves’ Eyes. The goth-flavoured debut album, Lovelorn, was viewed as Liv’s comeback following two albums’ worth of head-scratching electronica with Theatre Of Tragedy. It set the stage for an ongoing project that would ultimately surpass her accomplishments with the Theatre, as Leaves’ Eyes evolved into something well beyond Liv’s doom goth roots. Their new album, Symphonies Of The Night, is the bold next step in what has been a constant evolution. And even though they have a decade under their collective belt, Leaves’ Eyes show no signs of getting bored with their own art. If there’s any sort of re-invention going on with regards to their musical direction it’s not on a level where the fans are left wondering what the hell happened on the way to the studio since the last album. Posted in: The Interviews. Tagged: Aegis, Firewind, Leaves' Eyes, Libertine, Liv Kristine, Nagold, Raymond Rohonyi, Theatre Of Tragedy. 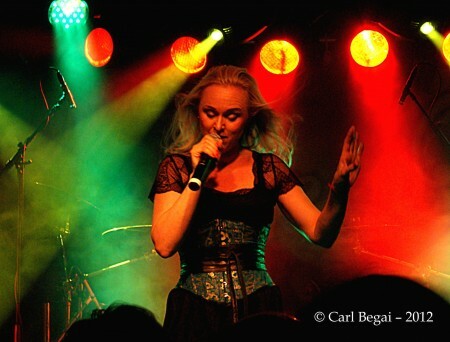 Purely by coincidence, this interview took place on October 2nd, 2012; two years to the day Liv Kristine’s former band Theatre Of Tragedy – she was fired in 2003 – played the final show of their career. It only dawned on me an hour or two before we met up on the Leaves’ Eyes / Firewind tour to discuss her new solo album, Libertine, and the irony wasn’t lost on her either, particularly since she’s found extra room in her heart for the Theatre over the last year-and-a-half. The focus was on Libertine, but it was interesting to learn that her Theatre Of Tragedy roots played a part in its creation. For anyone that’s been following Liv’s career, it’s no secret or surprise that her solo albums are very different from what she does with Leaves’ Eyes. Libertine is no exception to this so-called rule. Posted in: From There To Here.... 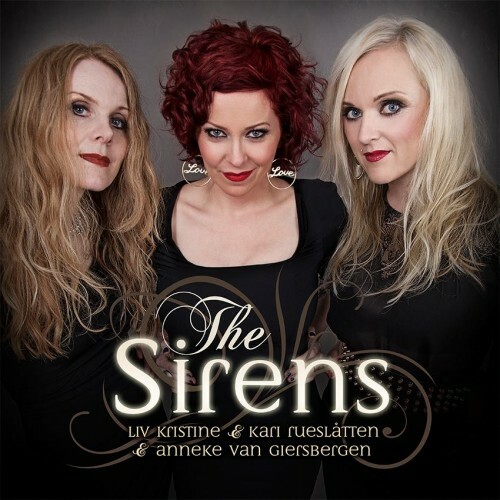 Tagged: Carmen Elise Espenæs, Leaves' Eyes, Liv Kristine, Markus Stock The Metamorphosis Melody, Midnattsol, Nordlys. Talking to musicians / artists about the creative process is what this journalist tour-of-duty is all about. Actually being part of the creative process offers a new and valuable perspective of the time and energy spent on bringing the music from vision to the studio. 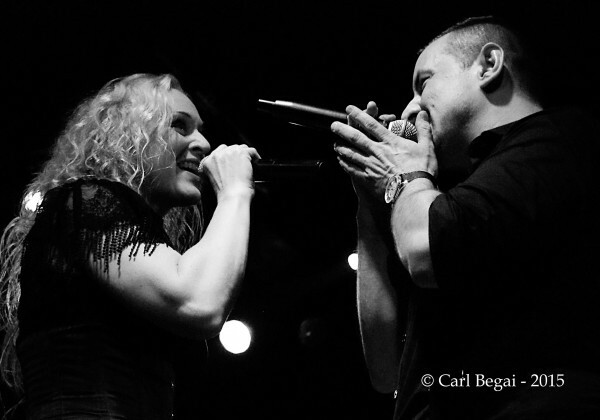 Since 2004 I’ve played a small role in helping to shape the lyrics for the German / Norwegian folk metal band, Midnattsol, an ongoing collaboration that forces me to dig deeper each time vocalist Carmen Elise Espenæs asks for my feedback. For the record, I couldn’t write a song to save my or anybody else’s life. When I was first approached by ex-Midnattsol guitarist / co-founder Christian Hector about proof-reading lyrics for their debut, Where Twilight Dwells, I took on the task not really expecting to do anything more than offer suggestions on using correct tenses and how to improve grammatical structure. In actual fact it became an interesting exchange of ideas with Carmen who, at that point, was very much in a learning-by-doing phase as a singer / songwriter. Three albums in and Carmen has found her stride. In truth she doesn’t need my help anymore, but I was happy to offer it when she was finalizing the lyrics for the new album, The Metamorphosis Melody. I was pleasantly surprised – and more than a bit impressed – to find myself challenged by Carmen’s ideas rather than being met with grammatical errors, resulting in a full week of chaos and comedy as we bashed her lyrics into shape. Following is our behind-the-scenes look at Carmen’s work on The Metamorphosis Melody, with me playing her soundboard and the voice of sporadic reason. Posted in: On The Inside. Tagged: Leaves' Eyes, Liv Kristine Espenæs Krull, Nightwish, Theatre Of Tragedy, Tuomas Holopainen. Leaves’ Eyes vocalist Liv Kristine Espenæs Krull and I recently sat down to discuss her new solo album, Skintight. Towards the end of the interview (found here) I asked her for her thoughts on her former band Theatre Of Tragedy’s decision to call it quits after 17 years. 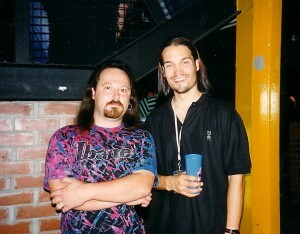 Liv was an integral part of the band, and it’s fair to say they were one of the building blocks in my metal education. It’s sad to see them go, and I’m not the only one that thinks so. Posted in: From There To Here.... Tagged: Forever Is The World, Hein Frode Hansen, Leaves' Eyes, Liv Kristine, Midnattsol, Moonspell, Out Of The Dark, Raymond Rohonyi, Rotting Christ, Theatre Of Tragedy.